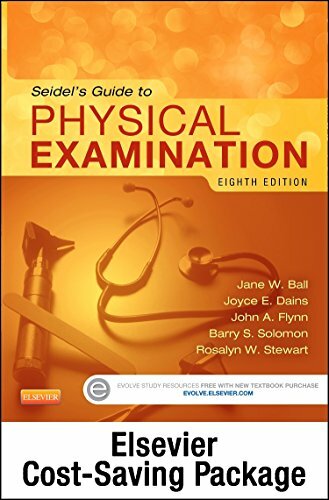 Corresponding to Seidel’s Guide to Physical Examination, 8th Edition, Physical Examination and Health Assessment Online simplifies assessment skills and makes learning easier with video clips, animations, interactive activities, and review questions. It also features self-paced learning modules with capstone case studies for each body system to help you understand and apply physical exam and health assessment principles and techniques. Developed by clinicians and educators Jane Ball, Joyce Dains, John Flynn, Barry Solomon, and Rosalyn Stewart, this online course is designed to work as an independent learning experience or as a complement to classroom lectures and clinicals. Self-paced learning modules walk you through an anatomy and physiology review, subjective data, objective data, documentation, and abnormal findings for each body system. Advanced Practice case studies allow you to experience client encounters in an office-like setting, covering advanced assessment techniques such as reviewing symptoms and systems, taking a supplemental history, performing a focused physical exam, ordering and interpreting diagnostic tests, and developing differential diagnoses and treatment plans. Capstone cases for each body system show the realities of practice and promote the application of assessment skills in simulated experiences. Video clips demonstrate how to conduct exams on patients of various ages, ethnicities, and genders. Multiple-choice review questions provide the opportunity for self-assessment, with rationales to reinforce understanding of essential content. Full-color photos with anatomic landmark overlays depict the anatomy beneath the surface of the skin. Animations show three-dimensional anatomic illustrations and physiologic processes, bringing important anatomic and physiologic processes to life. Audio clips play recorded heart, lung, and abdominal sounds, so you can hear and review real-life audio findings. Interactive activities allow a quick review of assessment techniques, terms, and findings, with exercises such as Listen & Select, Match It, Picture It, Think It Through, True or False, and more. Student checklists provide portable, quick reference to the main points of examinations for each body system. Updated content reflects the latest research findings and evidence-based practice on techniques, normal and abnormal findings, and assessment of patients with specific abnormalities.